From beautiful mountains, alluring beaches and the world’s most breathtaking national parks to hospitable people and interesting cultures, Kenya is a hotbed of magical travel experiences. There are lots of fun activities that you can engage in while in the country. Although there are very many awesome destinations to choose from, you can’t afford to miss visiting some. Here are some of the must-go places in this beautiful country. Masai Mara National Reserve is the most popular game park in Kenya, no wonder thousands of tourists visit it every year. Ever heard of the annual wildebeest or zebra migration? Would you like to have first-hand experience of the same? If yes, Masai Mara National Reserve should be part of your next itinerary, if it’ll be from July and October. Come here during that time and witness hundreds if not thousands of wildebeest and zebras coming into the park from another park called Serengeti in Tanzania. Besides a wide range of wildlife, Masaai Mara also boasts a scenic landscape. 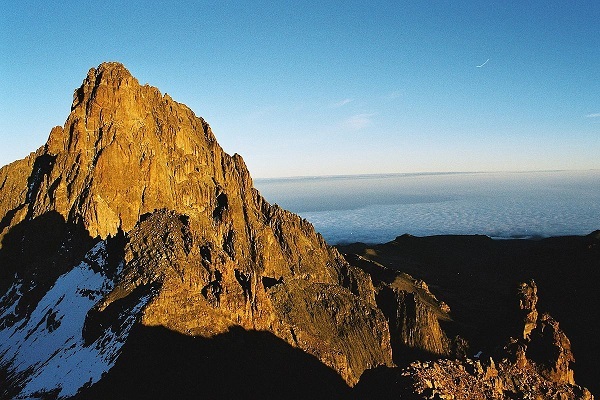 If you are a hiking enthusiast, then a visit to Mount Kenya will leave you with lifetime memories. Plan to come here during a dry season and try and see if you’ll manage to get at least three-quarter of the mountain’s height. It’s quite a challenging experience but very enjoyable, especially for a mountaineering guru. Besides, since the mountain is part of the Mount Kenya National Park, you’ll have a great opportunity to see live animals such as elephants, buffaloes and lions. Another awesome thing about coming here is that you won’t have to spend a fortune as the entrance and the tour guide service charges are very pocket-friendly. Lamu Island is a place that’s rich in history, considering that it was a centre of ivory and slave trade in the 7th and 12th centuries. Since then, the Island has been continually inhabited but still retains much of its heritage. As such, it has earned a UNESCO World Heritage Site status. Visit here to have a real feel of ancient time activities. You’ll see an array of ancient architectural features including carved wooden doors, coral stone buildings, patio rooftops as well as Mediterranean verandas. You’ll definitely enjoy traveling by ferry or boat to and fro the Island since it doesn’t have any other physical connection to the mainland. 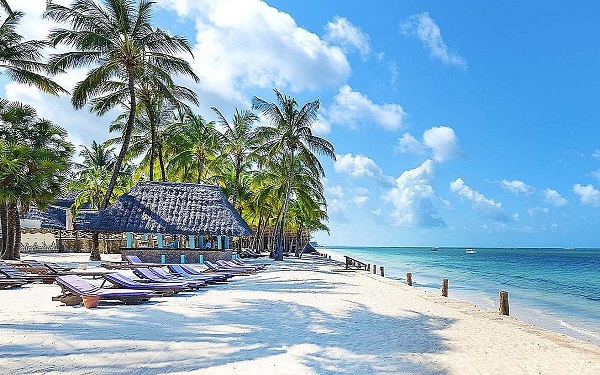 With its signature white beaches and clear blue waters, Diani Beach is one of the best places to unwind and forget all your life’s worries. The beach is one of the prominent landmarks on the Indian Ocean coast of Kenya. Here, you can take a walk traversing Kaya Kinondo, a forest that’s regarded sacred by the Digo people or visit Colobus Conservation Centre to see Angolan black-and-white Colobus monkeys climbing rope ladders by the roadside. If you’re tired of traveling, you can just enjoy the breathtaking scenery offered by the beach. Many people die to have one-on-one interaction with giraffes. They are very friendly and so, you can see them at a very close range. 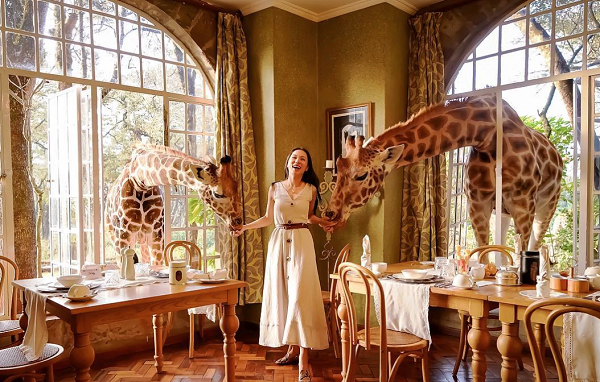 At Giraffe Manor, you’ll have an exclusive chance of not only seeing Rothschild Giraffes, but also feeding them with a few feed pellets if you so wish. It’ll be indeed an awesome experience. 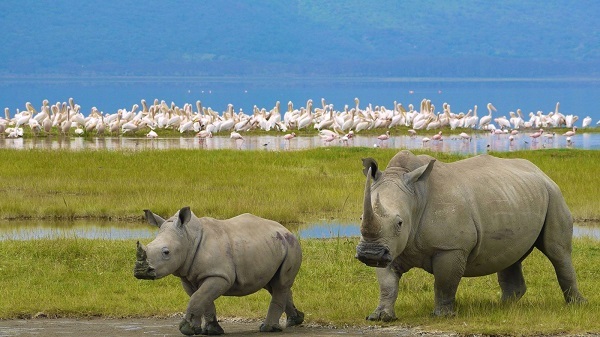 If you want to enjoy a cool breeze along one of the Kenya’s most beautiful lakes, then you can’t go wrong with Lake Nakuru, which is part of The Lake Nakuru National Park. Lying in Kenya’s Rift Valley, Lake Nakuru is a prominent tourist destination where people go to see a regiment of fuchsia pink flamingoes. Millions of the flamingoes occupy the lake’s shores as they feed on cyanobacteria. From far, you’ll see the birds looking like a big pink band surrounding the lake. The park also hosts Black and White rhinos, Rothschild Giraffe, and leopards. 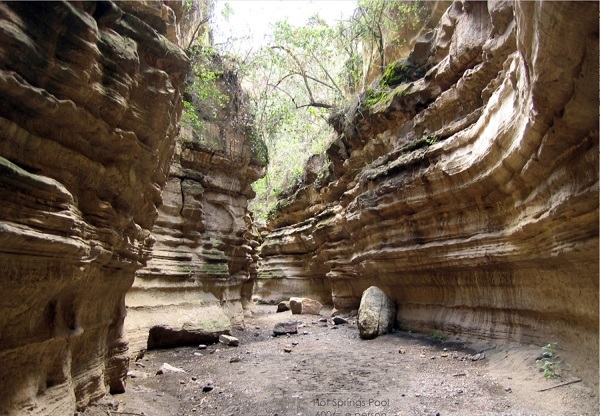 Hell’s Gate National Park is another breathtaking hiking destination. It is among the few parks in Kenya where tourists are allowed to walk or cycle around. Besides, you’ll see alluring geothermal features such as hot springs as well as natural geysers. This park is home to a wide array of animals like bird (more than 100 species), leopards, baboons, hartebeest, ostriches and gazelles. Also, ensure that you visit Olkaria Geothermal Station and Oloor Karia Maasai Cultural Centre as both are inside the park. From sunbathing and swimming at the Watamu beach to deep-sea fishing snorkeling and surfing, there are lots of fun activities to engage in once you reach Malindi. This beach resort has a trading history and you’ll see some relevant evidence in the form of ancient features. The town also gives you a great opportunity to enjoy the Swahili culture and cuisines. Ensure that you visit Falconry of Kenya (a sick and injured birds’ rehabilitation centre), Marafa Depression (Hell’s Kitchen) and Jami Mosque or Church of St. Francis Xavier. 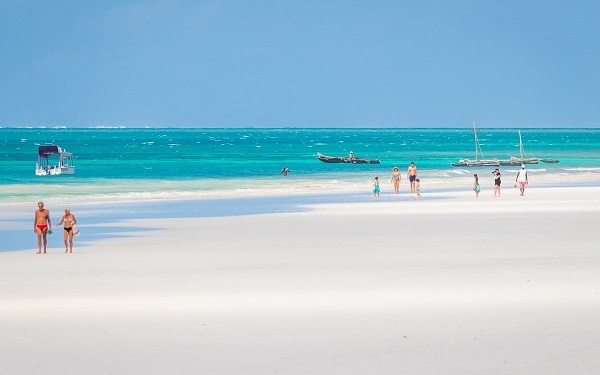 Besides, you can’t afford to miss a visit to Watamu Beach to sun on the beach’s white sands. 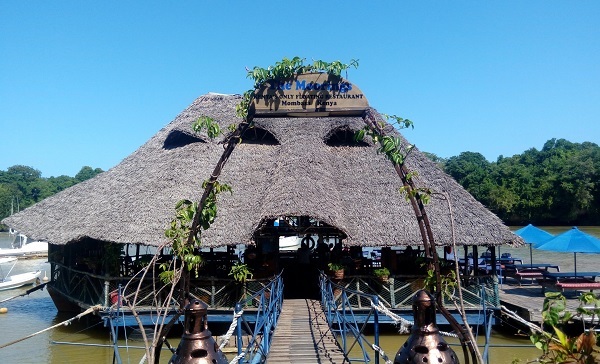 Moorings Floating Restaurant is an ancient restaurant located at North Coast of Mombasa. Despite its age, this restaurant is well maintained and offers an assortment of coastal finger-licking dishes. Whether you want to eat a prawn, crab or fish, you’ll get it professionally cooked to leave you craving for more. Besides the food, you’ll enjoy an amazing waterfront experience and beautiful sunset views. 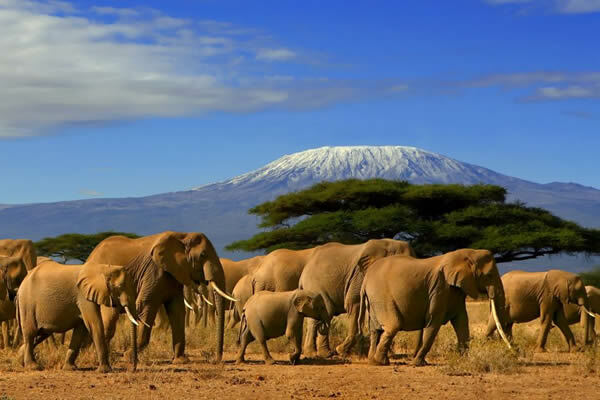 Amboseli is where the largest mountain in Africa (Kilimanjaro) is found. 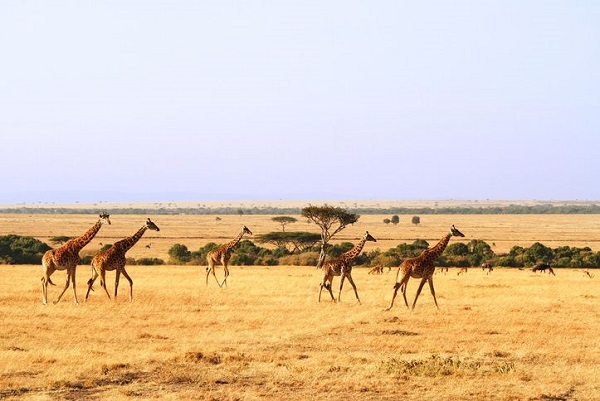 Besides climbing the mountain, you’ll also have an up-close view of wild animals like big cats, lions, giraffes, impala, birds (over 600 species), gazelles, waterbucks and more importantly, very large herds of elephants in the Amboseli National Reserve. Also, the panoramic view of the beautiful surrounding landscape featuring sulfur springs, savannah, and woodlands will take your breath away. If you are an outgoing person, you’ll definitely enjoy interacting with the local Maasai people living in the locality. If you want to have the best leisure moments, you should consider visiting these places and you won’t regret.